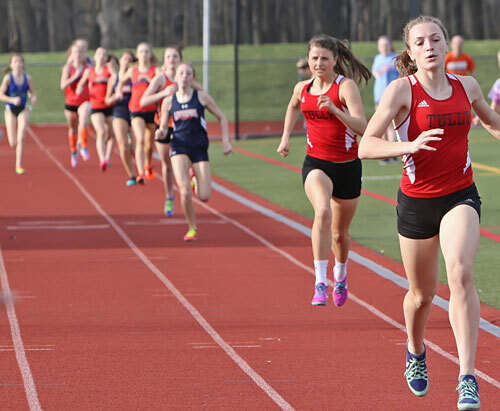 Girls 800 Meter Run ... approaching the finish ... Tully's Jessica Donald and Emme Perkins finishing 1st and 2nd. 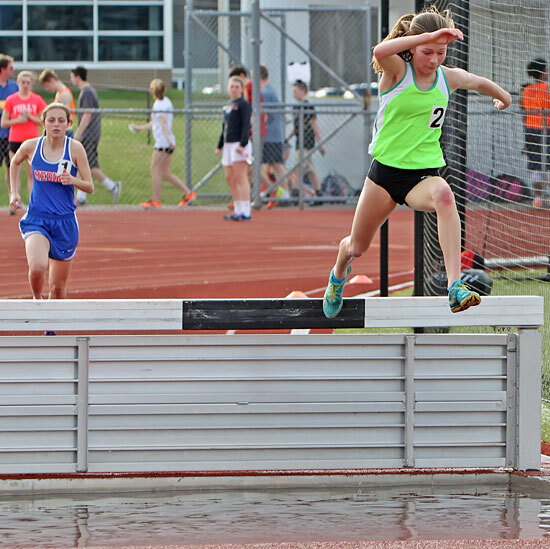 Girls Steeplechase ... race winner Brooke Rauber (Tully) going over the water jump ... Brooke was NY State 8th-Grade Runner-of-the-Year in Cross Country ... This was her first attempt at running a Steeplechase.